Years ago, a Young Turk ad salesman decided to make his pitch to Tiffany & Co. Someone he wangled a meeting with an executive empowered to place ads and regaled him with the burgeoning circulation figures of his paper and the relative low costs per thousand readers of ads placed therein. The executive listened patiently and when the salesman tried to close, with "Well, how about it?" soberly informed him that Tiffany's could never advertise in his newspaper. Exasperated, the salesman could only muster (in the face of his well-reasoned appeal), "Well, why not?" The executive's response: "Because your readers are our shoplifters!" In the early sixties, JFK, became fascinated with Lucite, (a Product of the Space Age!) So enamoured, in fact, that he had an aide contact Tiffany's to inquire about having engraved desk ornaments made for his staff as Christmas gifts. Shortly thereafter, the leader of the Free World received a letter from the President of Tiffany & Co., informing him politely, but firmly, that Tiffany's did not execute objets d'art in plastic. 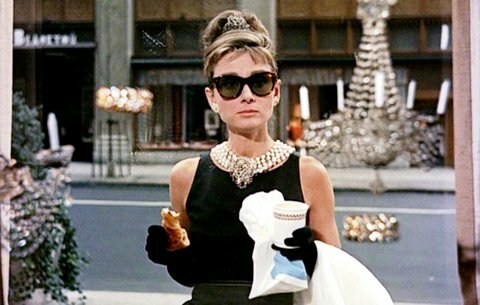 Everyone knows "Breakfast At Tiffany's, the book by Truman Capote made into the Audrey Hepburn / George Peppard movie, but the title wasn't taken from the opening scene from the movie. It was actually a sly allusion to an anecdote that had circulated for years in Gay New York. The story: During World War II, enormous troop movements to and from Europe, together with scarce and expensive hotel accommodations, reduced the challenge of hooking up (for gay bachelors with their own apartments) to something akin to shooting fish in a barrel. During one night on the town, one very such gay bachelor found himself seated next to an incoming or outgoing Marine who was already well on the way to drinking himself to that point at which horny jarheads forget that they're primarily heterosexual. At closing time, the serviceman, who had nowhere to go, cheerfully accept Gay Bachelor's invitation to sleep things off at his place. The next morning, after the both of them had had a Real Good Time, jarhead's host was so enervated that he expansively declared he would treat his guest to breakfast anywhere in New York City that he wanted eat. The Marine, not from new York, had only heard of one establishment in the City that was renowned as really top-drawer, so he picked Tiffany's.